Now that school is in full swing; it is more likely that the chance that kids will either be the victim of cyber bullying or be the bully. This issue needs to be heavily addressed. Let us look at some statistics about cyberbullying and see how scary this epidemic actually is. • According to Reportlinker, 71% of young generations say they are concerned about cyberbullying. • A 2016 report from the Cyberbullying Research Center indicates the 33.8% of students between 12 and 17 were victims of cyberbullying in their lifetime. 11.5% of students between 12 and 17 indicated that they had engaged in cyberbullying in their lifetime. • Girls (40.6%) are much more likely to be victims of cyberbullying than boys (28.8%). Girls also dominated social media, while boys tend to be more on video game platforms. • A study by McAfee, found that 87% of teens have observed cyberbullying. • 25% of those who have been cyberbullied, have had an experience face-to-face confrontation with their bully. • 13% have had concern about having to go to school the next day after an attack. • 90% of social media-using teens who have witnessed online bullying have also witnessed others joining; 21% say they have joined in the harassment. • Only 7% of U.S. parents are worried about cyberbullying even though 33% of teenagers have been victims of cyberbullying. • Over One million children were harassed, threatened, or subjected to other forms of cyberbullying on Facebook during the past year. What can you do as a parent to help prevent your child being bullied online? Keep your computer in a busy area of your house. Set up email and chat accounts with your kids, make sure you know their screen names and passwords. This will allow you to make sure they do not include any personal information in their profiles. Ask your kids who all their friends are, and how they know them. 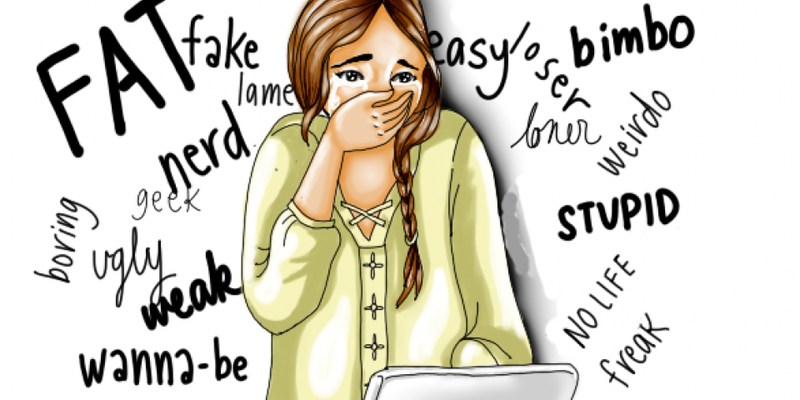 Discuss the issue of cyberbullying, and that you will not blame them if they are a victim. Hopefully, with education and monitoring you nor your child will have to deal with the effects of cyberbullying. Cyber Bullying is not limited to school age. Check out how adults have tortured that poor opera couple that has brought such beauty to our city. Disgraceful.